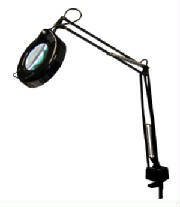 Buying guide for best magnifying eyeglasses for crafts, large craft magnifying glass on stand, sewing magnifying glass. 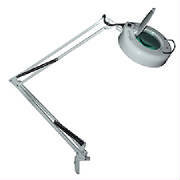 magnifying craft light, magnifying craft lamp, best lighted magnifying glasses for crafts, hands free magnifying glass for crafts, craft magnifying glasses and craft magnifier with light for craft work. 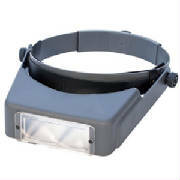 Craft magnifier power and work distance: Select a craft magnifying glass with a power that will allow you to work at a comfortable work distance. The higher the power of the handcraft the shorter the work distance and the smaller field of view. 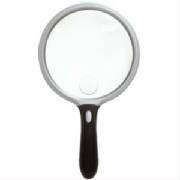 Do I need a craft magnifying glass with light? 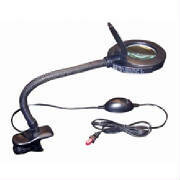 A craft magnifier with light, lighted magnifying glass for crafts or a craft magnifying lamp provides a sharper and clearer image then a non-lighted craft magnifier. Shop our selection of sewing magnifying glass hands free, magnifiers for craft work, craft magnifying glass with light, magnifying light for crafts and crafting magnifying glasses. What type of craft magnifying glass do I need? For short duration use a hand held craft magnifying class and for long duration a hands free craft magnifying glass such as desktop magnifying glass for crafts, craft magnifying glass with light on stand or a magnifying craft lamp is best. 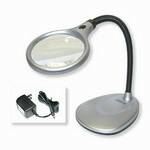 Shop our stock magnifying craft lamps plug in and magnifying craft lamps cordless. Shop our high quality craft magnifying glass with light, craft magnifying glasses for sewing and lighted magnifying glass for sewing. 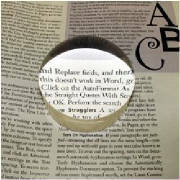 For best magnifying glass for craft results wear your glasses. 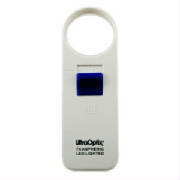 Bright dual LEDs lights adjusts vertically and horizontally. Available in three different powers-1.75X, 2.25X, 2.75X. 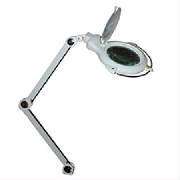 Light weight and easy to use, the Lite-Site craft magnifying glass hands free comes with three opthalmic quality hard coated lens plates(1.75X, 2.25X, 2.75X). 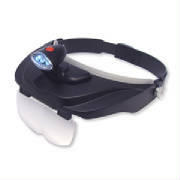 Crafters magnifying glasses that are light weight. 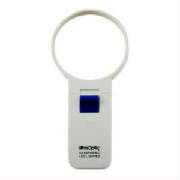 Excellent Best sewing magnifying glass hands free. 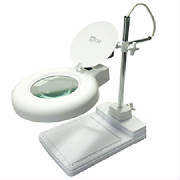 Ideal for reading any fine print on contracts, maps, phone books, stamps, stock listings, etc. Ideal for reading any fine print. 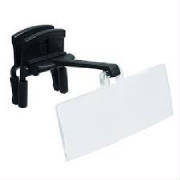 Clip-on craft magnification glasses for detail work. 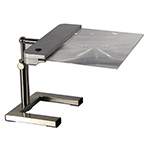 This clamp-on gooseneck hands free magnifying glass for crafts is a perfect addition to the office desk, lab table or workbench. NOT AVAILABLE FOR INTERNATIONAL ORDERS. 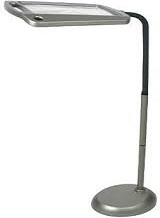 Large Lens 8" x 10"
2x LED gooseneck craft magnifying glass on stand with a 6x power spot lens and a 4 inch crystal clear acrylic lens. 1.75X/3 Diopter Lens-3.00 inch lens with dust cover. 75X/3 Diopter-5 inch lens. Measurement markings on base.